For use on pump plate not less than 15cm. dia. Electric Bell operating 4-6Volts AC/DC, suspended on rubber cord in bell jar. Fine coiled wire connections to terminals mounted in rubber bung sealing the jar. We produce a wide array of Bell Jars that has an electrical bell working on 3-6 V ac/DC at all times and is suspended with connections to terminals mounted on the Rubber bung thereby sealing the jar.It has high utility and can be tailor-made to suit customer specifications. With a firm commitment to quality, we are involved in offering a wide ambit of Bell Jar. Made form Heavy Glass complete with Glass Stopper. Perfect for isolating experiments from outside interference or studying the properties of matter in a vacuum. 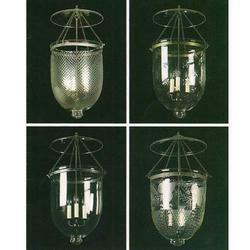 We are offering an excellent range of Laboratory Bell Jar. These Laboratory Bell Jar are available in various sizes and specifications. 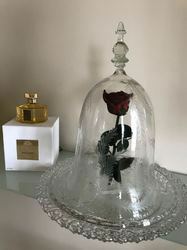 Our Bell Jars can be customized as per our customers specifications and it can be availed at most reasonable price. We are one the leading company engaged in providing wide range of Laboratory Plasticware such as Bell Jars. These are made of plastic. Size 20 x 10 cm with stopper, transparent. These Laboratory Plasticware products are known for its quality and reasonable prices. Eagle's tool for jewelry machinery.